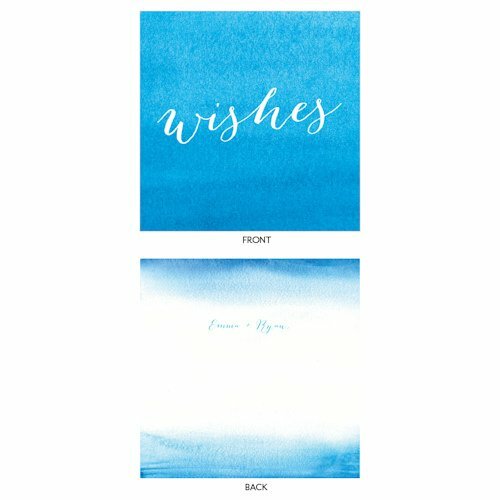 A variety of brilliant color washes make these Aqueous Wishing Well Cards a bright part of your day. 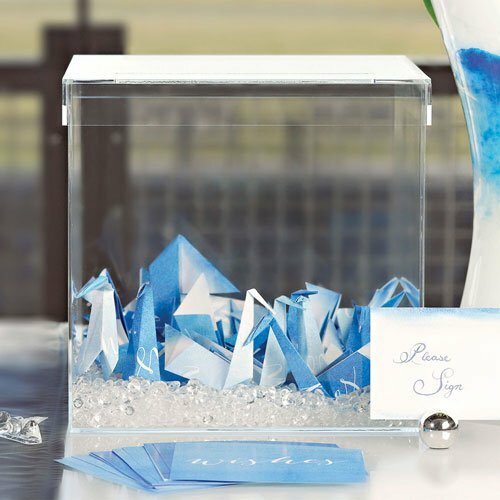 Your guests can sign their names and write their wishes for the bride and groom and place into your chosen wish box. 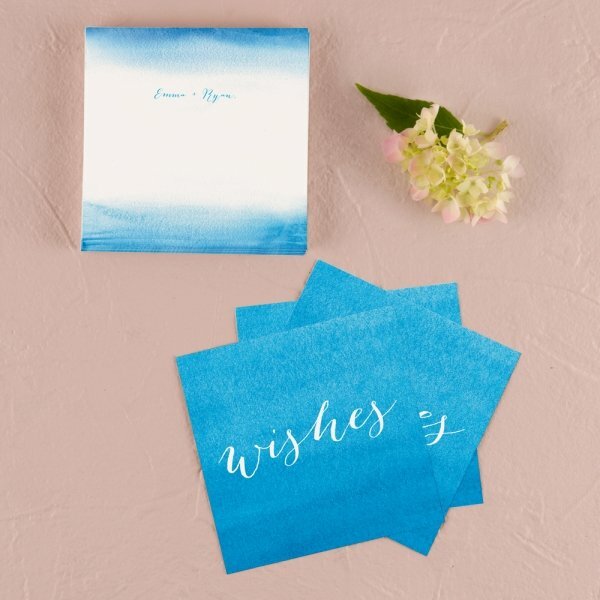 The unique calligraphic font highlights your names to add a personal touch. 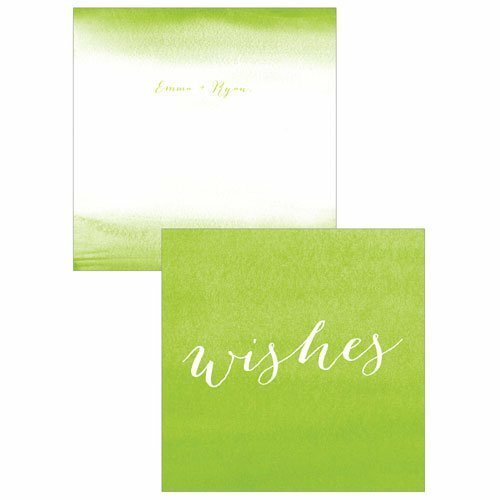 Available in 5 colors, the cards are sold in sets of 6 with a minimum of 4 sets required. Cards measure 5" x 5". Crafted from 70lb stock. 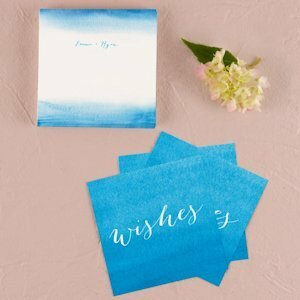 Note - This item includes a personalization, color, size or design option: Names (e.g., Bride and Groom Names) (max of 25 characters) (Free of charge). You may specify this information during our checkout process.